(Make sure VCgate software is closed before you try this). 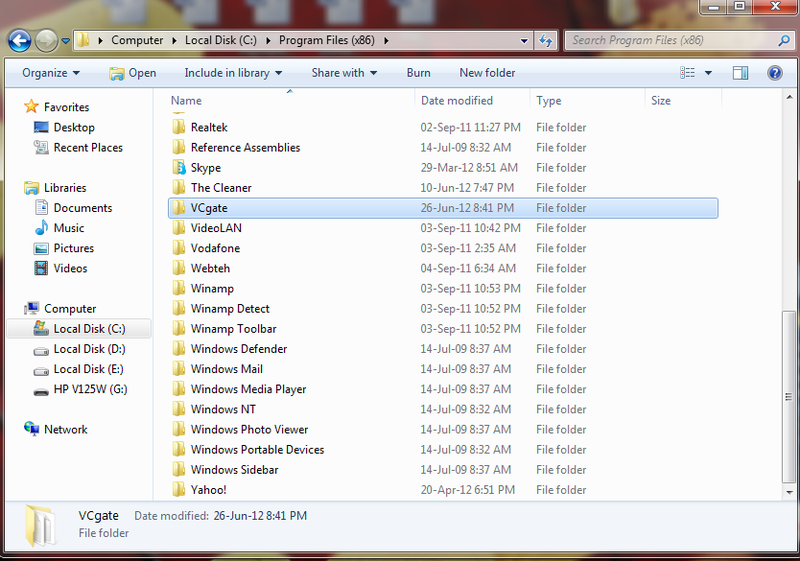 Then you should just click inside the uninstall program : next and then finish buttons. If this it’s not working and you encounter an error during uninstall follow the next instructions. 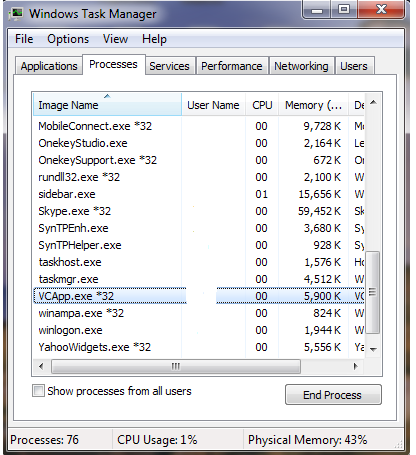 You need to go to Windows Task Manager (you can do that by pressing Ctrl+Alt+Del), then go to Processes, find VCAPP.EXE and press End process. There should be 2 processes with the name VCAPP.EXE so please end them both. After this, you can go to Program Files and delete the VCgate file. 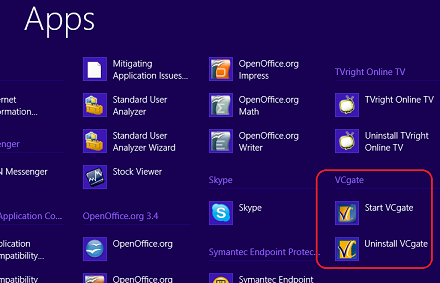 In windows 8, the procedure is as follows..
Click on All Apps, and you will get the option to uninstall VCGate from there..